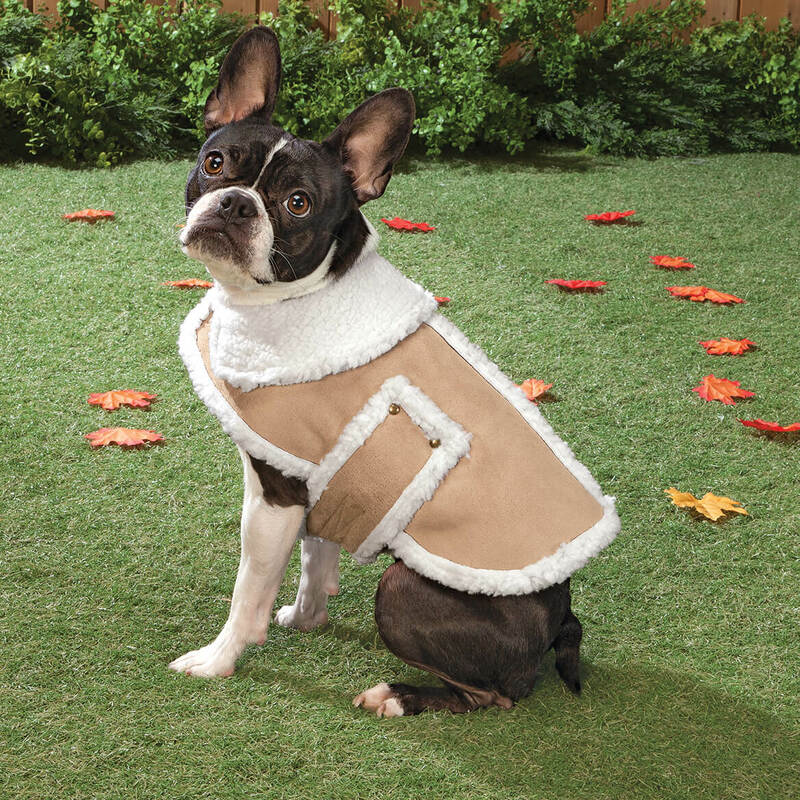 My new puppy will be so warm this winter wearing this gorgeous coat! Beautiful color and very cozy!!! Christmas Presents for the family of my ex-boss (Yen) who have and love dogs. Ordered this sherpa dog coat in the past from your company. Time to replace it due to normal wear and tear. 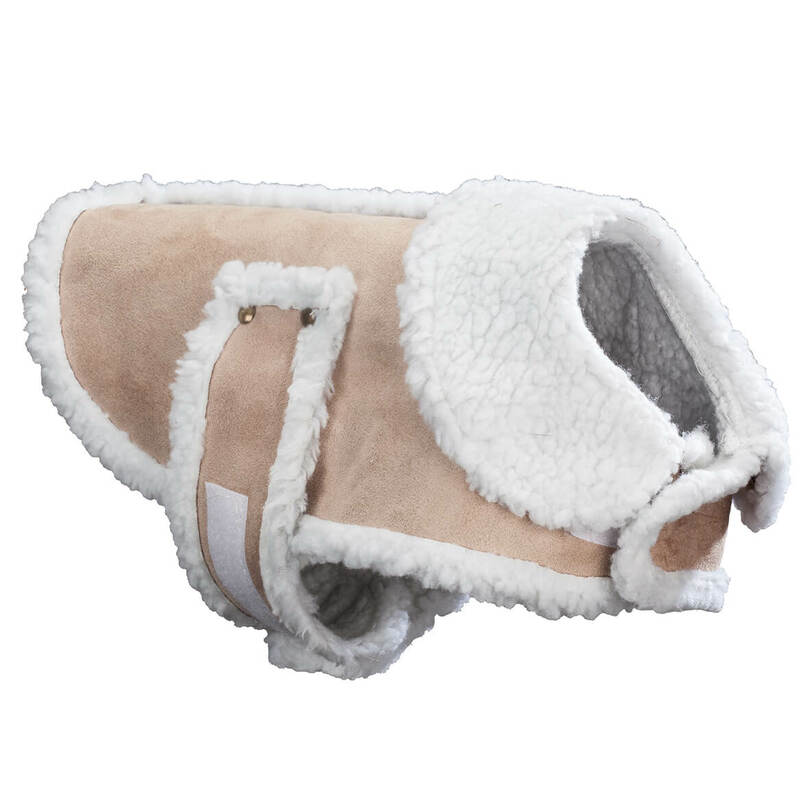 This item keeps my dog nice and toasty. Very pleased with the quality of the coat. 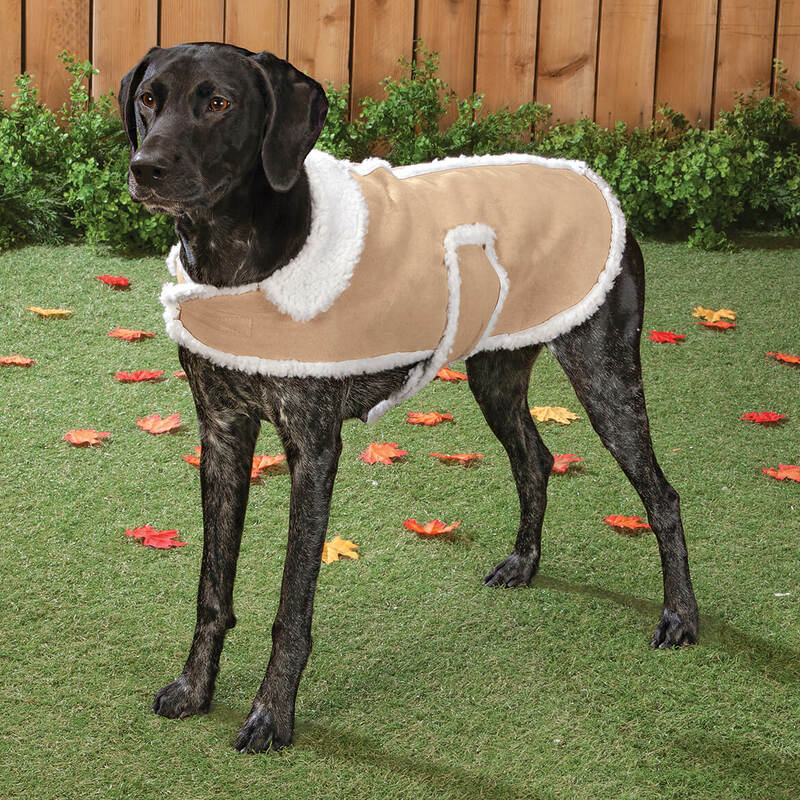 Because my doggie needed a coat and you had it and at the right price with free shipping! My dog has gained some weight and doesn't fit into his old jacket and I had bought one like this for my son's dog up North and she loves hers. My Westie doesn't like to get cold so he will love this jacket! My Chihuahua gets cold when it snows here in Nebraska. Thought this might keep him warmer when he goes out. For my dog it looks warm. What size is the neck? BEST ANSWER: Sorry, I has taken so long to get back to you but the reasn why is, I originally ordered an XL but it was way to big for my Westie so I had to return it for a Large. Now it fits alot better and the answer to your question is 14 inches. when it is velcored in the correct places.Hope this was of some help. Thank you for your question. Unfortunately the Sherpa Dog Coat has sold out. We no longer have inventory and are not expecting further shipments from the supplier. We hope this information will be of help to you. After measuring our dog, we ordered a medium size. As it turned out, it is a bit large, but I think the small would be too small. Neck size is adjustable via the velcro connection as is the belt size. Measure twice and order once. The smallest neck would be about 11 inches and can expand about another 2 inches.